Entrepreneurs know there is a lot to learn—and to always be learning—if you want to be a successful business owner. Sure, you can read blogs and listen to podcasts (ahem). You can take online or local courses, too. But every now and again an event pops up on your radar that makes you stop and wonder whether that day or two will have a lasting impact on you and your business. With the Synergy Global Forum just around the corner, I wanted to talk to Augusto Carrizo, the Director of the NYC office. To say I was shocked by the small business ownership insights he shared with me would be an understatement. For the whole interview click below, but continue to keep reading for some more great information! Entrepreneurs Now Stand on a Level Playing Field: What’s Next? Despite the entrepreneur’s ability to compete with the largest of corporations nowadays, there does stand one distinct difference between the two: support. We hear it time and time again here. Entrepreneurs starting businesses out of their literal garages and homes, scaling up with little or no help at all. So, when I heard Carrizo ask, “How do we keep up with everything?”, I was excited to see what sort of answers he threw back at this question that many an entrepreneur has wondered. It’s true. While executives in large corporations may have that hunger for more and bigger and better, they don’t necessarily have the drive to do everything and anything within their power to survive. This is a competitive advantage that entrepreneurs need to be tapping into. Carrizo says that entrepreneurs need to realize that they have the power to become bigger and more disruptive in their space. However, it comes down to educating oneself about the possibilities for differentiation. You need to know what sort of disruptor you can bring to this space in order to make a significant impact with it. Above all else, Carrizo suggests that entrepreneurs cannot sit by and idly watch as others shake things up. You need to stay educated about the most cutting-edge topics in your industry and always be looking out for those things that will help you progress now and in the immediate future. He believes that Synergy Global Forum is the gateway for many entrepreneurs to do just that. Although he is one of the newer faces to the game, Carrizo describes him as “a philosopher of the new era”. And this new era he speaks of is the one in which technology speeds up everyone’s lives. While it’s made it possible for entrepreneurs to thrive, it presents a new challenge as they struggle to draw a line between their personal and professional lives. This is one of his key areas of interest. “He brings a depth of knowledge and experience on how to become the right leader,” said Carrizo. While the subject matter is enough to inspire interest, it’s Welch’s approach to speaking at the Forum that should get entrepreneurs excited. Welch does not prepare a speech ahead of time; instead, he likes to engage with and challenge his audience to talk about leadership and the challenges they face. 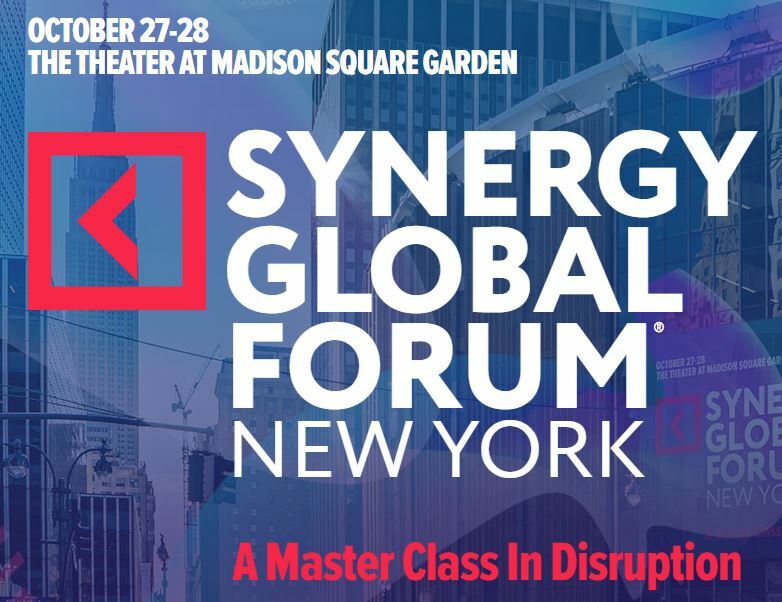 If you’re interested in learning more, you can visit the Synergy Global Forum website or attend the event this October 27 to 28 in New York City. The post What the Shifting Playing Field Means for Entrepreneurs – Augusto Carrizo appeared first on SmartHustle.com. Read more about this at smarthustle.com.